Today I want to introduce you to a brand that I have been lusting over for a couple of years now. NSPA, is the creation of Nirvana Spa, the "UK's Number 1 day spa". Made available at ASDA stores over the UK, these products are high quality at a reasonable price. If you love Philosophy products, then you will definitely enjoy using NSPA products as I find that they similar, however, the price tags are very different. 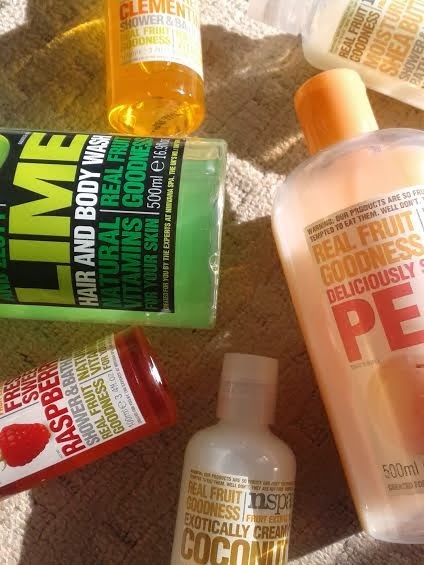 The products I want to mention are the shower gels from the 'Fruit Extracts' range. As the name suggests, these are products that have fruit scents. There are many to choose from, including raspberry, coconut, lime........ and so on. 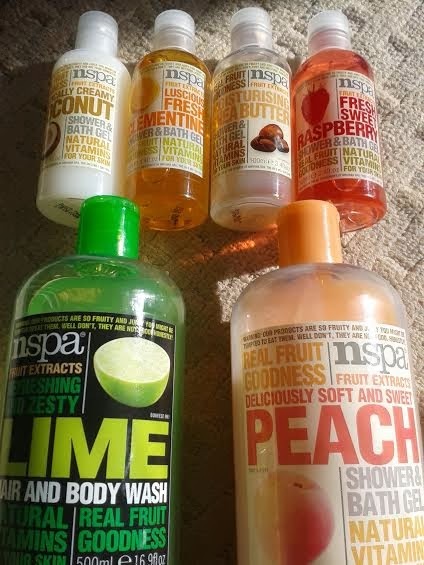 These shower gels leave you feeling amazingly clean (especially the lime shower gel!) and moisturised. It is now a must have for me to own at least one of these shower gels. My preference in particular is is the Shea Butter shower gel as it's just so moisturising. Oh yes, when it comes down to it, we'll always love a more affordable product to the ones we love. I'm not a huge fan of philosophy because if their ingredients but I might look into these!! Oooo these sounds nice! I love the sugar crush body wash from S&G! But recently I have been getting a lot of use out of the body shops satsuma shower gel. I've been meaning to try the sugar crush body wash! I love Soap and Glory, will definitely have to get round to purchasing it. Body Shop's products are amazing too.